NOW we have the AFL North Coast grand final we thought we'd have since very early in the season. 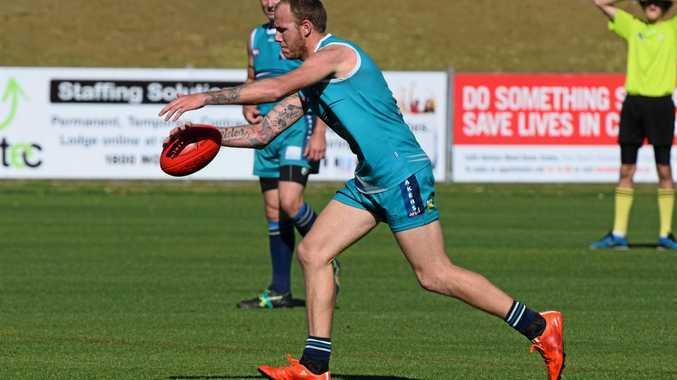 The Coffs Breakers ran away from Port Macquarie on Saturday to qualify for this weekend's grand final, a repeat of last year's decider against Sawtell/Toormina. The Breakers were on a mission from the opening bounce and the moment Nicklaus Stanlan-Velt kicked the opening goal it was obvious Port Macquarie was in for a long day. Kicking with the aid of a strong southerly breeze in the first term, the Breakers were on song with both their structures and link up play looking as slick as it had at any stage in the season. A dominant seven goal to one opening stanza saw the Coffs team race out to a 39 point lead. Port managed to ease the haemorrhaging slightly in the second term but a further five goals to the Breakers into the wind saw the lead approaching 10 goals at the main break. 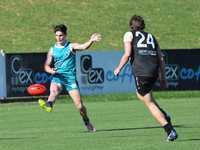 Port's cause wasn't helped by the loss of Adam Mannes and Luke Boxhall to injury in the third term but the damage was already done by that stage. After a poor showing in the 2nd Semi Final some Breakers players really needed to bounce back and Jacob Sincock, Royce Close, Mckinlay Pearce and Ben Gibbeson did so. Up front Stanlan-Velt was dangerous posting five goals while Luke Valdes continually pounced on the loose ball to boot four of his own. Goals - Coffs: N. Stanlan-Velt 5, L. Valdes 4, J. Hunt 2, L. Paige 2, A. Wallace, J. Sincock, C. Frangos, M. Pearce, B. Gibbeson, F. Duryea, T. Jones. Port: S. Johnson 2, A. Scott 2, F. Carroll, M. Williams. Under-18s: Coffs Breakers 16.6 (102) def Sawtell/Toormina Saints 6.10 (46).